Baker closed out his championship season with 219 points. Smith was second with 202 points. TJ Burnett Racing Kawasaki rider Brandon Robinson was third with 185 points. 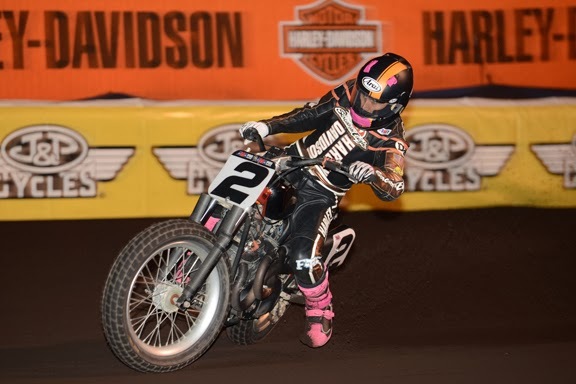 Mees, the defending Grand National champion, was fourth with 177 points, followed by Lloyd Brothers Motorsports rider Henry Wiles with 162 points and Coolbeth in sixth place with 147 points. Baker becomes the third-youngest rider to win the AMA Grand National championship. Harley-Davidson rider Brad Andres (1955) and Harley-Davidson Factory Team rider Jay Springsteen (1976) were both 19 years old when they won their first titles. The Harley-Davidson Screamin' Eagle Factory Flat Track team is sponsored by Dunlop and Traxxas.